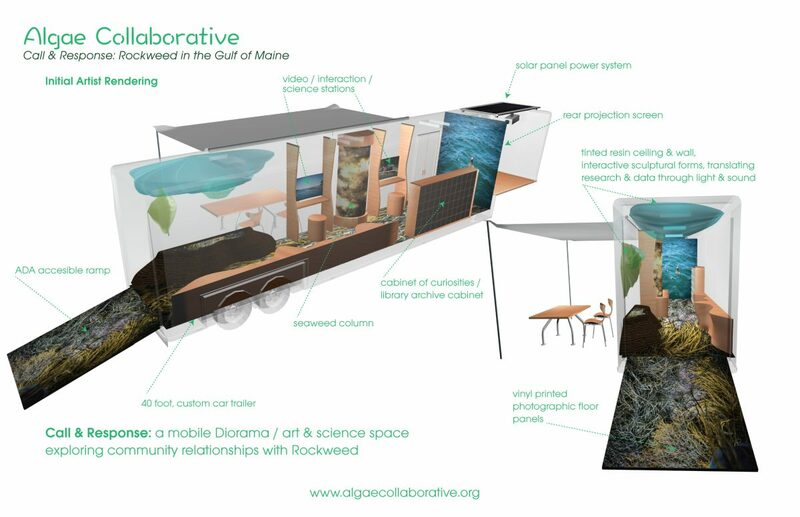 The Coaction Lab is excited to announce the Algae Collaborative, a collaboration between Coaction Lab founder, Gene Felice at UMaine, Jessica Muhlin at Maine Maritime Academy, Steven Moore at the University of Texas Austin and Celeste Roberge, faculty emeritus at the University of Florida and a local Portland artist. We have been developing our collaboration and ideas for the past year, culminating in this proposal for a mobile, Call and Response system, focused on the exploration of Algae as a source of inspiration and community discussion. 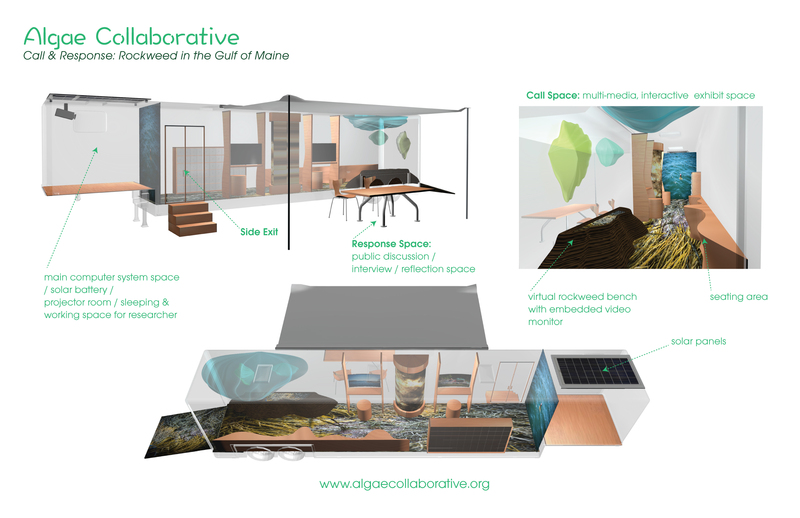 The Algae Collaborative is an interdisciplinary action-research team comprised of a marine biologist (who specializes in macroalgae), two visual artists (whose expertise span sculpture and new/intermedia) and an architect/planner (who studies the social science of sustainability). We are creating a mobile learning framework, in collaboration with interested communities, to inform public discourse about a difficult topic. This particular project explores a vital marine resource through a case study of rockweed in a small coastal community in Maine. Call and Response: Rockweed in the Gulf of Maine Communities that border the Gulf of Maine face consequences of global climate change, economic disruptions and are often challenged by three variables: science, local knowledge and action. The first two variables—science and local knowledge— are frequently invisible to the very people who must act to improve conditions. The purpose of this proposed project is to make these variables visible, and thus actionable, through the communicative abilities of art and science. By making complex, sometimes competing forms of knowledge visible, the project will afford coastal communities the opportunity to synthesize what differing social groups know and thus catalyze relevant action.